Welcome to Kiskatom Publishing company, home to the Saratoga Springs Visitors' Guide. 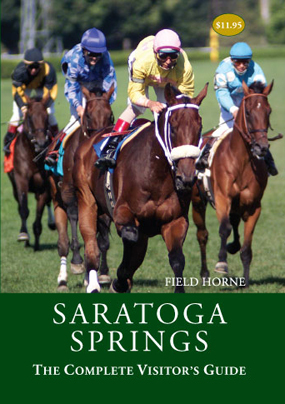 Discover the history of Saratoga through select books and music from author Field Horne and others. We invite you to browse our library where you will find books about Saratoga Springs history as well the culture of the surrounding region. We also offer a small selection of music produced by our publisher and author, Field Horne. Call us at (518) 587-4962 for more information, or order our books on Saratoga history and music CD's right from our Kiskatom Publishing Company online catalog.